BERLIN, Germany -- Europe's Rosetta space probe has located its lost Philae lander, wedged in a "dark crack" on a comet, the European Space Agency said Monday. Rosetta's camera finally captured images on Friday of the lander on comet 67P/Churyumov-Gerasimenko, weeks before the probe's own mission ends, the agency said . The pictures showing the lander's body and two of its three legs were taken as Rosetta passed within 2.7 kilometers (1.7 miles) of the surface. Philae bounced after its initial touchdown and its precise location on the comet couldn't be pinned down until now, though its general vicinity was known. Data from Rosetta and Philae have already improved scientists' understanding of the nature of comets and the role they played in the early universe. Analyzing the data fully is expected to keep researchers busy for years. "We were beginning to think that Philae would remain lost forever," said Patrick Martin, ESA's Rosetta mission manager. "It is incredible we have captured this at the final hour." 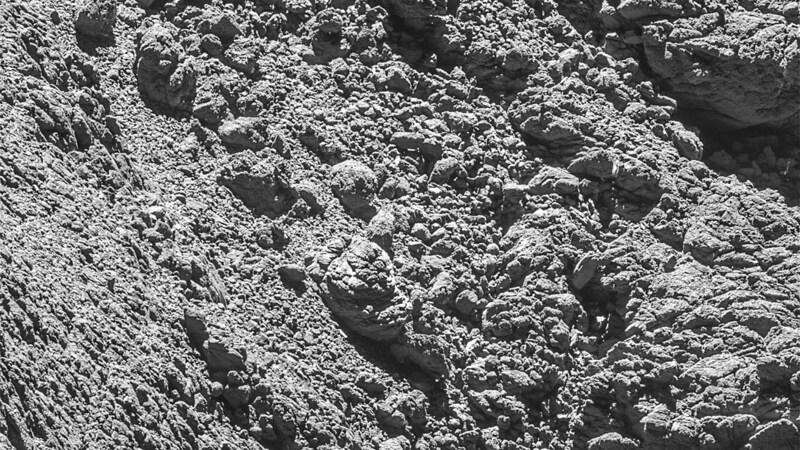 Rosetta project scientist Matt Taylor said that locating Philae provides missing information "needed to put Philae's three days of science into proper context."